It’s fair to research the market before investing. You know what, Tricky Macs, an American successful businessman, wanted to invest in Turkey for a big Telecommunication business. He got a visit in Turkey and stayed there for six days in order to research the technical market. Finally he found, Oil business is more worthy than telecommunication. Finally he invested five billion USD in Telecommunication business and another five billion in Oil Business. Exactly after two years, he saw that his profit from Oil business was eight billion including capital and losses from Tele business was three billion including capital. So, he was still in one billion profits. If he invested his whole money in Tele business, he would have been in four billion loses. So, as a newbie freelancer you should first identify a safe marketplace for working. We understand you need to make an inquiry whether upwork is legit? or upwork scams? We are here to explain it to you whether upwork is legit or scam. To make a clear idea of this confusion, just stay with us till the end. As you know upwork is a complete virtual place to deal with. So, when it is about scam it totally depends on the freelancers and the clients to deal with it. 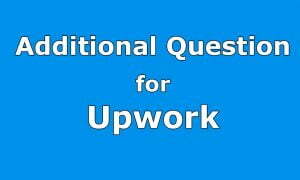 So, first of all you must know about the following information about upwork and the related things surrounding it. Upwork is a huge virtual international market place where a large number of clients and freelancers are available to hire and to be hired. You must know upwork is not any a software. Rather it is a merged version of formerly Elance and Odesk from December 2013. Upwork is open to all sorts of skilled freelancers. They provide their clients with the expected work contracted before starting it. And they are also paid virtually by their client. Is Upwork Safe or Not? It is often heard that upwork is not safe at all, it is a fraud site and it scams others and so on. But as a regular member of so many years I assure you from my real experience that it is totally a legit site. All you need is to be conscious about the steps you are taking. You may be heard of a number of freelancers making a lot of money only by using upwork. If it is really a scam then how do they do it? But the question is even being a legit site why there are so many claims of its being scam. To get the answer you will have to think wisely. The scamming site is done by some scammers over the internet. You know your messages and emails are often seen as scams. Do you know why these are seen scam? It is because of these scammers who use to scam these messages and emails for their own profit. But what you don’t know is that scammers do not scam only these messages and emails they are really active in the freelancing sites as well. And the other thing you must know that when you are a newbie you will face many competitor working over there. They won’t want you to be grown up easily. What more that you may find helpless is that as a newbie you may be hired for a project and after submitting it you may find that the client is vanished without giving you any payment. For such case you must be cautious about some things. Don’t get frightened. Upwork is not scam at all but to avoid these frauds you will have to be careful with some things. Stay with us to learn more what you should do to remain safe. So, now you see upwork is not scam at all. It is totally safe to use. But to remain alert from being cheated as a freelancer you will have to tag along the following steps to get a genuine project and make money safely. Never Hurry: It is often seen that the newbie apply for a job and after getting hired start their work in a hurry without being sure whether the client is genuine or not. It is totally foolish. Never make hurry rather be cautious of every steps. Research your Client: Before starting with any project you must research your client. Read through the profile of your clients deeply. Take into account each details of your client. Try to know the policy of your client- the duration of their project, work-hours, payment method, budgets, amount to be paid, project type etc. Genuine clients make these things clear before making the contract. So, be wise while choosing your clients. Check the Transparency of Your Client: You must check your client’s transparency. Check carefully your client’s rating and the feedback they got for their previous works etc. Remember that a reliable client surely has a great ratings and reviews. Don’t Agree of any Test or Free Samples: You may often see that some clients are demanding free samples from you to test your skill. The wise decision here is to avoid these clients. It is strictly against the policy of upright. These clients are fraud and follow such policy to get their job done without giving any payment. So, avoid these frauds simply. Never agree to give any free sample. Adopt a Secured Payment: Always try to follow a safe and secured payment for the job payment. Upwork recommends you to use the escrow system it provides. It is safe, secured and prevents any kinds of payment disputes. Whenever you deal with any fixed price contract or hourly contract make sure that you are dealing with such secured system to avoid loss of your payment. Report Scams: If by any way you understand that a job post is a scammed one, feel free to report against it. Give your suspicion a better consequence. Your step will help other freelancers restrain from involving with the scammed job post. There are many other scams also in the land of freelancing. Just study carefully the following facts to remain safe both as a client. It will help you know how you may be cheated and what to do to protect yourself. In the upwork system it has become very common to cheat a client with plagiarized material as there are a lot of opportunities to copy article, logo or web design etc. So, as a client you must remain alert of your job you are getting done by your hired freelancers. You may cross check to justify the originality of the task. We recommend you to use Copyscape to check written material. And to check any designs use Google reverse image search or other online tools. You should ask your employee for designs in editable formats and multiple resolutions. It will help for further process. You may also ask for the resource, usage rights to ensure if it is royalty-free. It is really a dangerous thing for a client. It generally happens when a client hires a freelancer to work on their website. It allows the employee to get all access to proprietary material of the site and thus hacking it. And if you forget to change your password of the site after the job done you yourself will give the hacker chance to hack it later. To avoid such scamming use the tools like LastPass. It will share the access to your system without sharing your actual password. And you must ensure the level you want to share to accomplish the task and never give the highest level access even your employee demands. After the accomplishment of the job revoke the access as soon as possible and check system activities and logs. Identity theft is a very common scamming in all kind of systems in the internet. Many freelancers often use a fake identity or some other good freelancer’s identity to make the impression good to his client and get the job. So, as a wise client you must remain alert of such thing. What we recommend you to avoid such scam that you may prefer a location of your choice of freelancers. It will ensure that the freelancer of the expected place only will be able to apply. If you are hiring your native employee, give special attention to his language, grammar and style to get a proof. You may ask for other identity proof from the employee for a large contract. For instance you may check his social networking site etc. for your comfort. You may also ask for referrals from your employee. Upwork is such a waste of time. Either you wait FOREVER before getting a job which pays sooo low OR you get suspended INDEFINITELY for applying “too much jobs”. So stay away from Upwork.